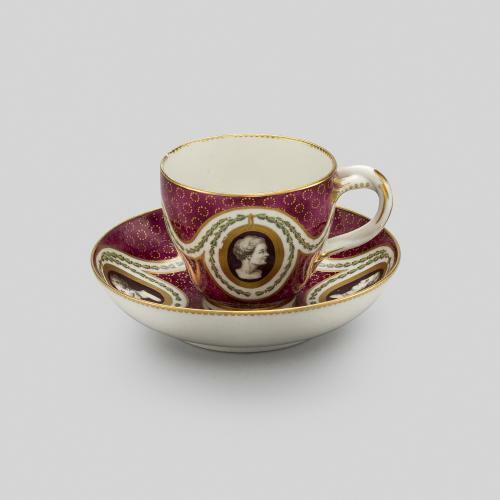 This teapot was made by the Royal Worcester porcelain factory in 1883. 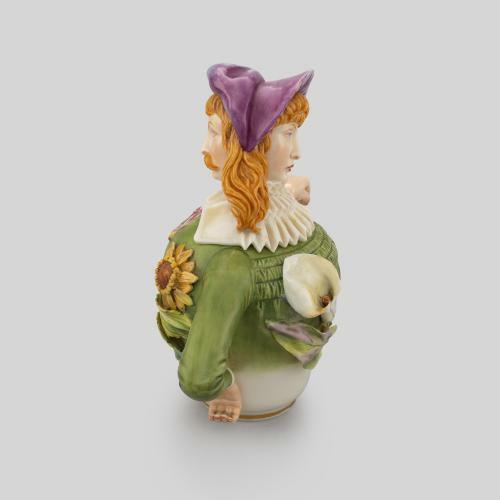 Modelled by James Hadley, the factory’s principal modeller, one side of the pot takes the shape of a male figure wearing a sunflower, while the other side takes the shape of a female figure wearing a lily. 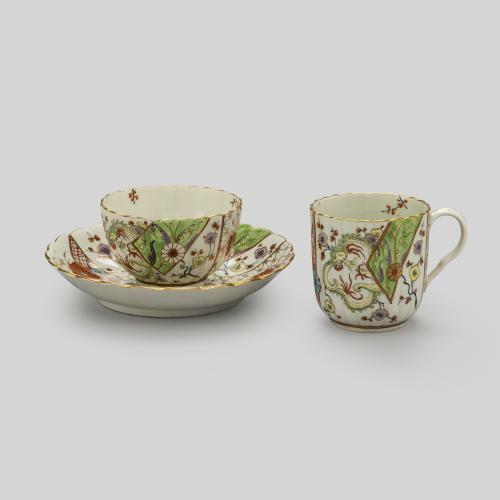 The design was inspired by Gilbert and Sullivan’s 1881 opera ‘Patience’, which humoured the excesses of those associated with Aestheticism. 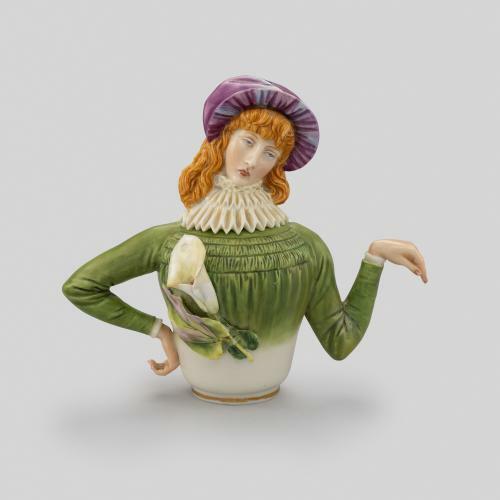 This artistic movement of the late 19th century championed visual beauty and ‘art for art’s sake’, but its proponents were seen as posers and misfits who disregarded traditional Victorian values. 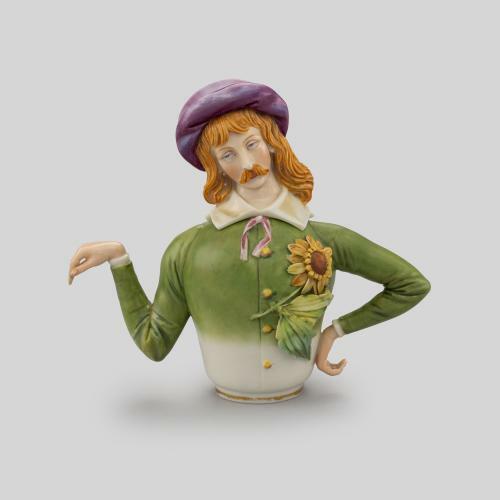 It is said that the male figure on the teapot is based on Oscar Wilde, one of the key Aesthetic figures, while the sunflower on his chest was a symbol for the movement.